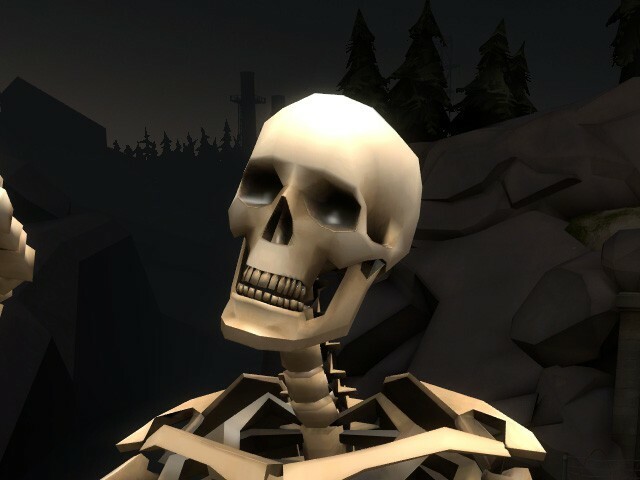 A TF2 hex of my Natural Skeletons skin. REQUIRES TEAM FORTRESS 2 TO BE INSTALLED AND MOUNTED!!! 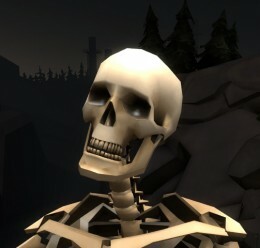 - When spawned, the skeleton ragdoll flies away at random directions like a maniac, thus making you lose track of it and/or getting damaged by it. The sort-of-safest way to avoid that is to either look up before you spawn the skeleton, or spawn it when you're in a small room. - The ragdolls lack faceposing. 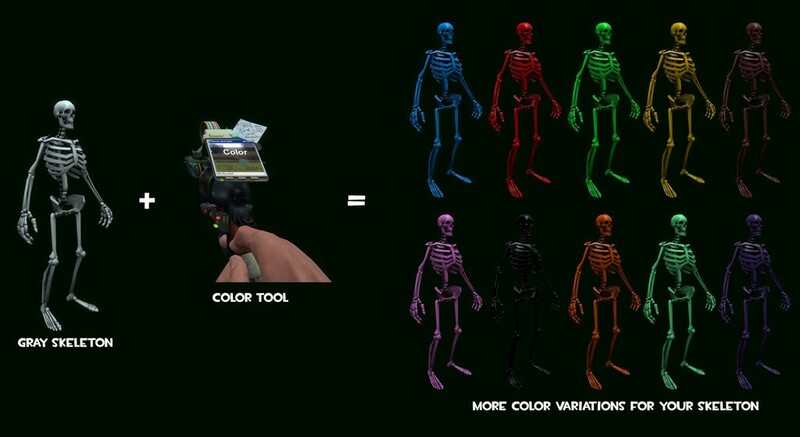 skeleton king model in the TF2 data is at the same size and height as the regular skeleton. So your best bet to is use Advanced Inflator tool and Ragdoll Resizer tool if you want to make poses of them as you can see in my second screenshot. - I would upload this to Steam Workshop, but Garry's Mod crashes when I tested the ragdolls downloaded from the workshop, which is odd since they do work fine on legacy addon mode. Not sure why Steam Workshop would mess them up like that. 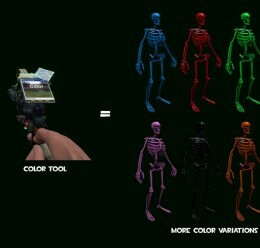 - The models aren't tested in Source Filmmaker, so there's no guarantee that they would work there. 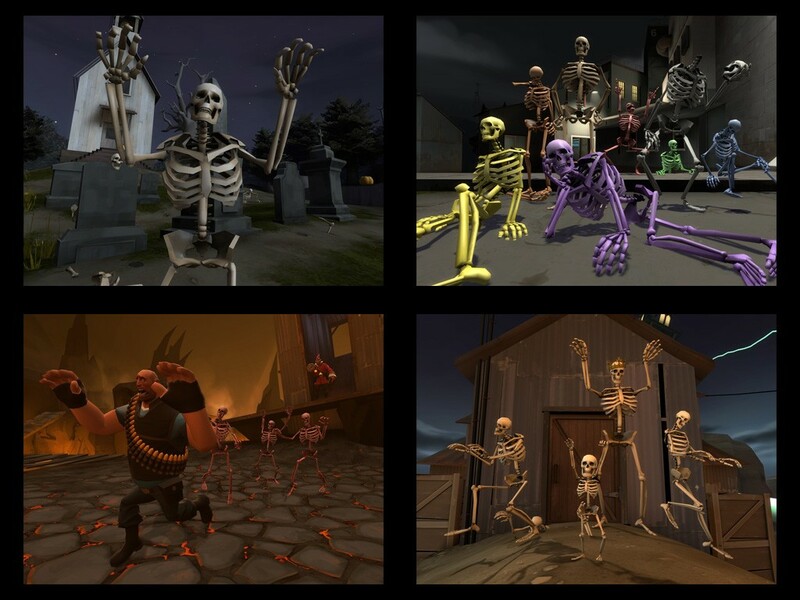 TF2 Hex - Natural Skeletons <-- Addon folder!